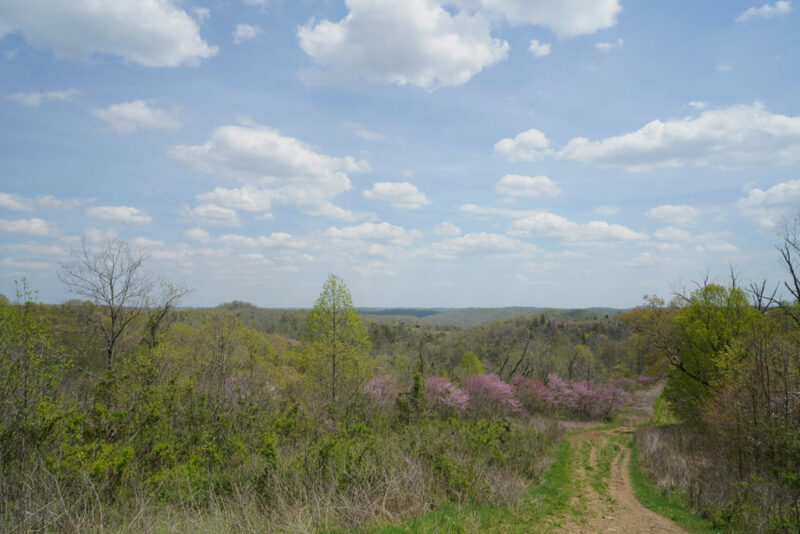 The Wayne National Forest is Ohio’s only national forest and spans 245,000 acres across the Appalachian foothills of southeast Ohio. This beautiful expanse of land has hiking, fishing, and rare and endangered plant and animal species. In a lot of ways, it is one of the best parts of Ohio, and therefore we need to protect it. 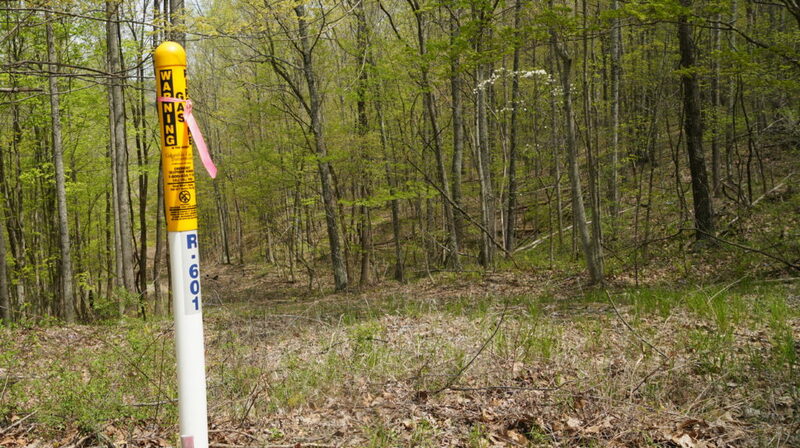 Recently, the OEC took a trip to the Wayne near Ironton, Ohio to view the proposed route for a new pipeline in the area. Last year, TransCanada and Columbia Gas submitted a proposal for the 64-mile Buckeye XPress Pipeline, which would cut through 12 miles of the Wayne and hundreds of acres of additional forested land. Proposed route for Buckeye Xpress Pipeline in the Wayne. On our hike, we saw many ephemeral wildflowers including vibrant purple Phlox blooms, Wild Stonecrop, and Spring Beauties. 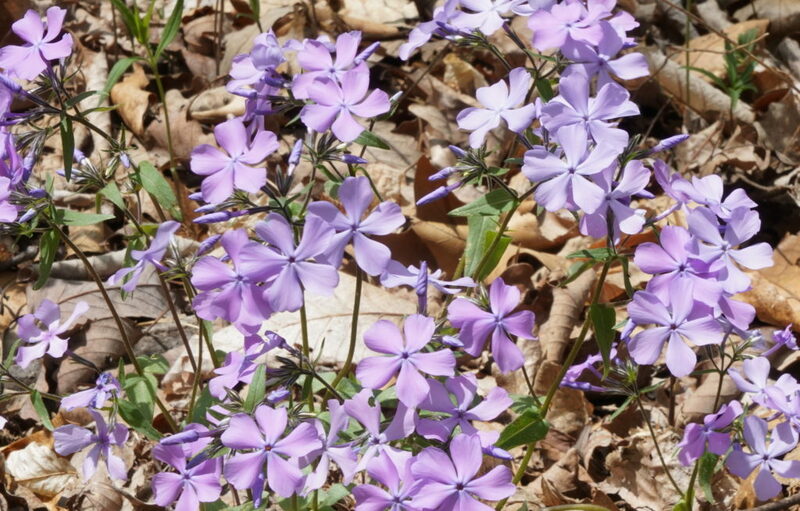 Purple Phlox found at the Wayne National Forest. The Wayne is proving to be an oasis for many species that migrated out of Ohio long ago, including the newly returning black bear and burgeoning bobcat populations! It also is home to many mature white oaks with beautiful fissured bark and wide-spreading, gnarled branches. White Oaks are a vital part of a diverse forest ecosystem because they host hundreds of native species including squirrels, deer, raccoons, blue jays, quail and more. These species rely on the White Oak for acorns and nutrient rich twigs and leaves. The Wayne is truly something to be proud of. That’s why the OEC, joined by Sierra Club and the Center for Biological Diversity, intervened on the Buckeye XPress Pipeline proposal and called for the FERC to conduct a full, in-depth Environmental Impact Statement. We want to make sure Ohio’s only national forest is as free from pipeline development as it can be. Vista point at the Five Forks Trail in the Wayne. Will Wayne National Forest Save the White Oak?